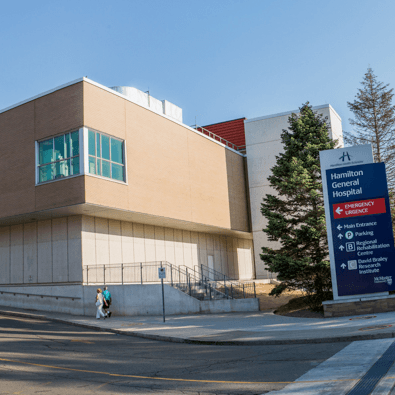 The Cardiac Ambulatory Centre (CAC) is a group of outpatient clinics that provide care and support for patients with heart conditions. This page provides information about each clinic and its services. Please note that a doctor’s referral is required to be seen in the Cardiac Ambulatory Clinic. The Atrial Fibrillation Clinic provides outpatient care for patients who have atrial fibrillation (AF), a heart rhythm issue. The goal of the Atrial Fibrillation team is to help patients living with AF reduce the risk of complications and improve their quality of life. Please note that a doctor’s referral is needed in order to be seen in the Atrial Fibrillation Clinic. Please note that a doctor’s referral is needed in order to be seen in the Atrial Investigation Clinic. The General Cardiology Clinic provides rapid access for patients to see a cardiology specialist. Patients can be seen in this clinic within 72 hours for urgent referrals, within two weeks for semi urgent referrals, and within two months for elective referrals. visit the emergency department with a cardiology-related issue, but can wait safely at home for outpatient cardiology services as assessed by the emergency physician. are seen in a clinic at Hamilton Health Sciences or St. Joseph’s Healthcare Hamilton and who require outpatient cardiology services in combination with other services. are being discharged from hospital and require ongoing outpatient cardiology services when it is not possible for the patient to see a community cardiologist. are seen by a family doctor and require outpatient cardiology services sooner than is available in their community within existing cardiology resources. Please note that a doctor’s referral is needed in order to be seen in the General Cardiology Clinic. We provide outpatient care for people who have heart failure. Our goal is to help you stay out of the hospital, improve your well-being and help you live longer. We work as a team to help you plan your care. Our team includes doctors, nurses, and a dietitian who have advanced training in the management of heart failure. You and your family are important members of this team. Together, we can design a plan of care that will meet your needs. Once your medication and your treatment are working for you and you are doing well, you will be discharged from the Heart Function Clinic. Your family doctor or cardiologist will take over looking after your heart failure. Please note that a doctor’s referral is needed in order to be seen in the Heart Function Clinic. The Heart Investigation Unit (HIU) Clinic helps prepare some patients for their elective procedure in the Heart Investigation Unit. The clinic is coordinated by a cardiology nurse clinician, who is specially trained to care for cardiology patients. The purpose of the clinic visit is to streamline the admission process and screen for any potential issues that need to be addressed prior to the day of the procedure. Please be prepared to spend about 30-45 minutes at the HIU Clinic. Please note that a doctor’s referral is needed in order to be seen in the Pacemaker/ICD Clinic. Please note that a doctor’s referral is needed in order to be seen in the Syncope Clinic.